The Law Office of Stephen Spano is dedicated solely to Elder Law and Estates. 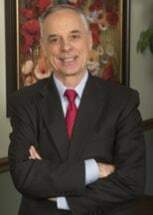 Attorney Spano is one of only several Massachusetts Elder Law Attorneys who is Certified as an Elder Law Attorney by the National Elder Law Foundation. The Firm's extensive staff and specialization solely in Elder Law and Estates provides clients the security in knowing that their concerns are being addressed by dedicated and caring specialists. The office and all facilities are ADA compliant. The Firm takes pride in not only providing unparalleled service, but also expert knowledge. An example of that knowledge is the depth and breadth of continuation education in which the entire staff participates on a regular basis. Partial Sampling of Advanced Legal Training in which Attorney Spano has participated since January, 2000. Director & Former Vice-president of the Board of Directors of Greater Lynn Senior Services, Inc.
Director, The Community Family, Inc.